This game allows your students to practice reading words with short u. 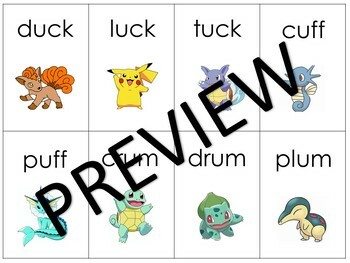 Students can play memory and match up the cards that are the same or the following way: Students place cards in a pile or bucket and take turns picking a card. 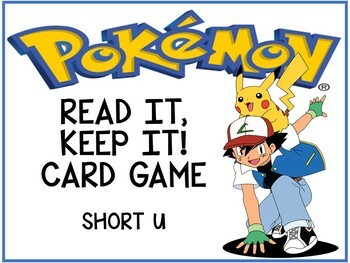 If students can read the card correctly, they can keep the card during the game. If they get it wrong, the card goes back and the cards are passed to the next player. 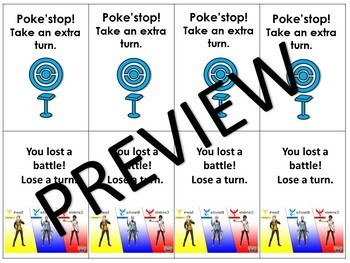 If students get a poke’stop card, they get to keep the card and have an extra turn. If they get a battle card, they must place the card back in the pile of cards and pass the cards to the next player. The player with the most cards at the end wins! Students love this game!